If you’ve got a craving for tamales you’re not alone. 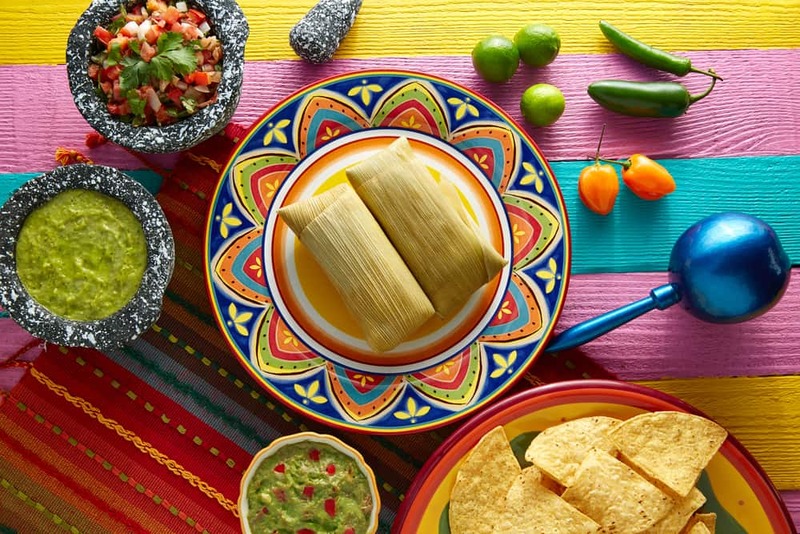 Tamales, made of masa (dough, usually corn-based) with filling, steamed in corn husks, have been eaten since at least 5000 BC, possibly as early as 8000 BC. The Mayan and Aztec civilizations both used them as portable food for hunters, armies and travelers. These days, tamales feature any number of fillings — even dessert — and you don’t have to eat them on the run. In fact, they’re the perfect treat for a Cinco de Mayo party in your backyard. I asked Amanda “Tamale” Stallman, owner of Tamales by Amanda, if she’d share some of her tamale secrets. Tamales by Amanda is a growing sensation in Bowling Green, Ky. Amanda makes 60 dozen or more tamales every week to sell at a farmer’s market and restaurant, and will soon be shipping them. 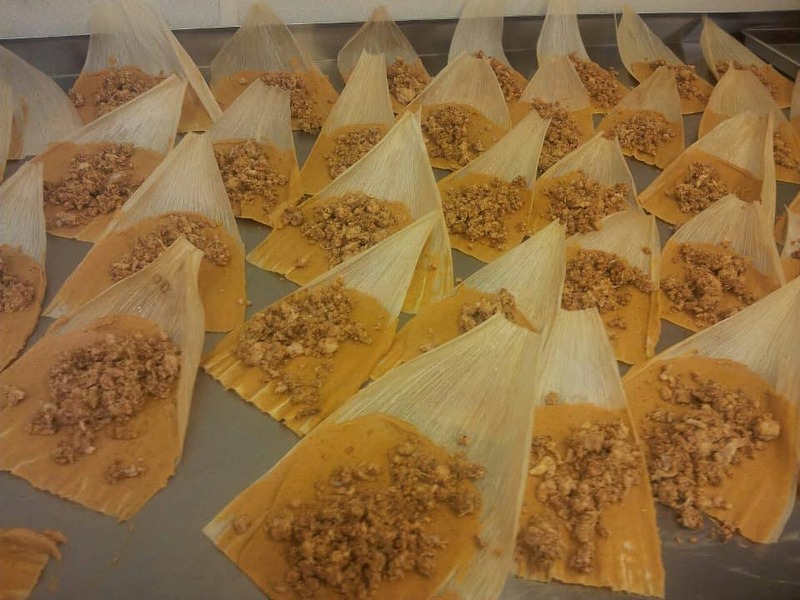 “Like” Tamales by Amanda on Facebook to learn more tamale tips and you’ll also be among the first to know when she’s ready to start shipping. In the meantime, follow Amanda’s recipe for homemade Green Corn Tamales. You should be able to find corn husks in the international section of grocery stores. Soak husks in warm water until you’re ready to fill them. 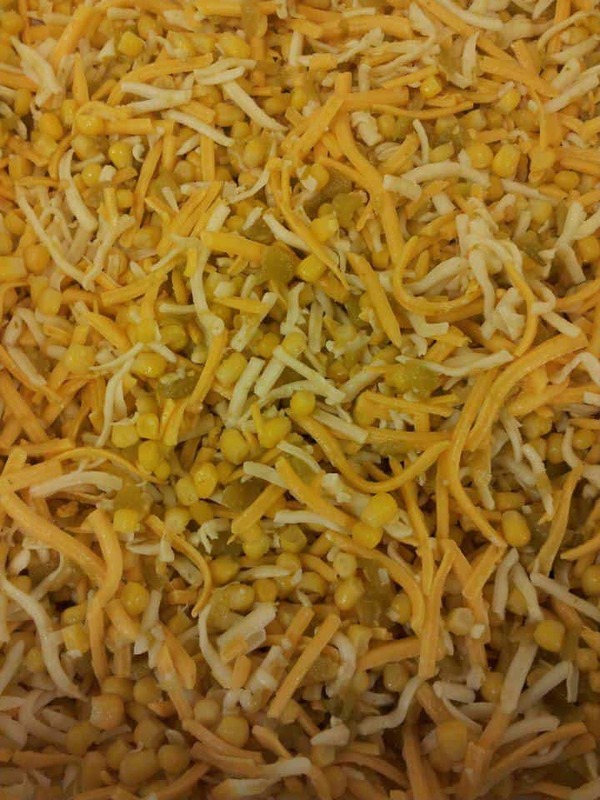 Mix together corn, cheese and green chiles. In a separate bowl, mix together corn flour, melted butter and milk. Add salt and pepper to taste and blend until creamy. 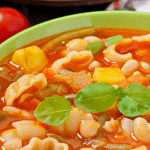 Combine with cheese and chiles. The corn filling before adding the milk, butter and corn flour mixture. Mix well. Add broth until the consistency is similar to peanut butter. Masa should be easily spreadable. You’ll be steaming your tamales, so start boiling the water now. One critical thing when steaming is to make sure the water doesn’t all boil away. Amanda’s trick: Put a penny in the water. If you hear it rattle around you’ll know it’s time to add more water. 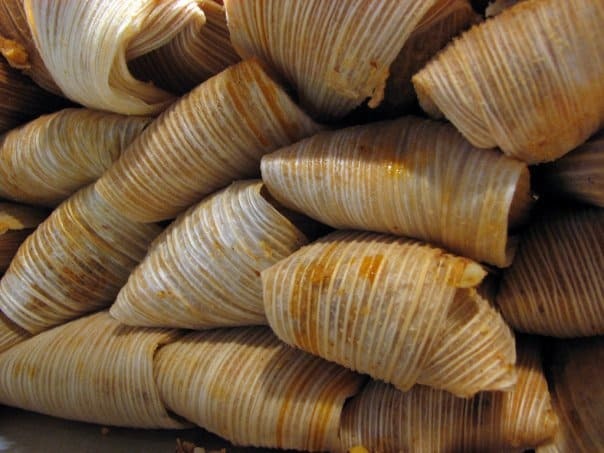 For each tamale, lay a corn husk, rough side down, on a flat surface. Spread the masa in a thin layer on the corn husk, leaving empty space at the bottom. Add a handful of the filling. Roll the corn husk tightly, folding the bottom under. Some people tie their tamales, but Amanda just rolls hers. Here’s a video by Maria Morales on how to roll tamales. Tamales, filled but not rolled. This photograph shows chicken filling. 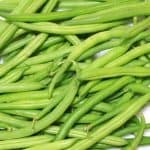 Pack them tightly into the steamer basket, cover and steam for two hours. Give the tamales some time to set before trying to eat them. When they’re cool enough to pick up they’re ready to eat. 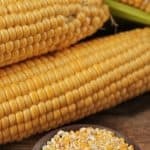 Remove the corn husk before eating. Colorful Cinco de Mayo crafts are fun to make and easy for the entire family. The name of the holiday literally translates to “the 5th of May,” and it commemorates the Mexican army’s improbable victory over a bigger and stronger French army at the Battle of Puebla on May 5, 1862. 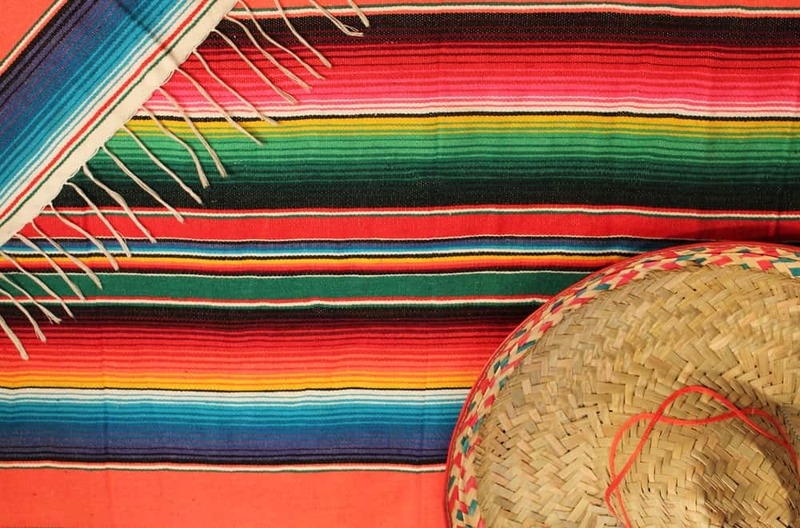 Since then, Cinco de Mayo has come to be known as a time to celebrate Mexican culture. But you don’t have to have a battle over what to do on that day – here are six fun crafts you can make for the occasion. Decorate Cinco de Mayo cookies. These yummy desserts are colorful and only take a few minutes to make. All you need are sugar cookies (store-bought or homemade), white icing, marshmallows and sprinkles. Arrange the icing around the rim of the cookies, and then dip the cookie icing-first in a plate of sprinkles. Put a dot of icing in the middle of the cookie and attach a marshmallow there. Add a few more sprinkles to the top and you have a cute, edible sombrero. Note: This idea also works with cupcakes. Create a bird rattle. Fill a toilet paper tube with dried beans or popcorn kernels and seal with tape to make a rattle. Decorate with strips of bright red, green and blue paper to make it look like a parrot or macaw. Make a Cinco de Mayo magnet. Take construction paper and create the country’s flag — it’s red, white and green — or make another Mexico-related picture. Cut it into the shape of your magnet, and attach. Create a Cinco de Mayo balloon piñata. Cover a balloon with a water and flour paste mixture. 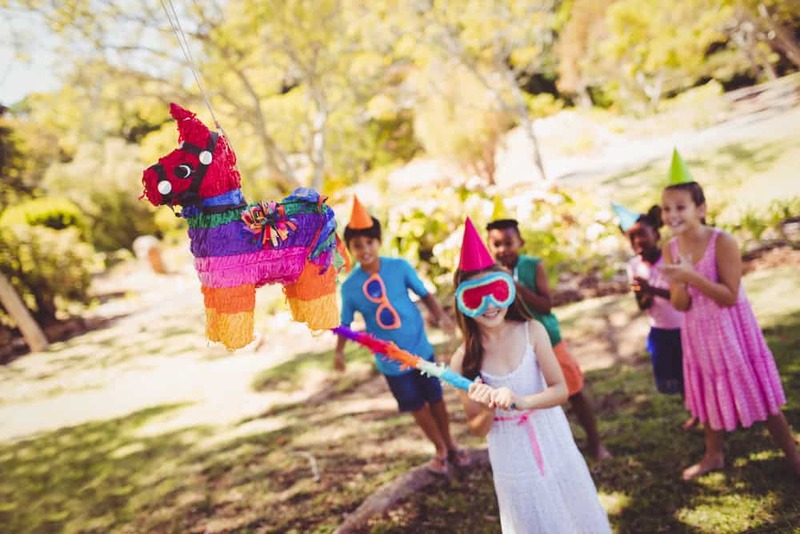 Let it dry (this take a day or two, so make sure you set aside extra time for this activity), then decorate it for a fun piñata. Easter Egg Maracas. If you have leftover plastic Easter eggs, this is a very easy craft. Fill the eggs with dried beans or beads. For the handle, attach a plastic spoon to the egg with colorful tape. Decorate your new musical instrument and make some noise. Make a model of a Mayan pyramid. These temples are archaeological marvels in Mexico. Make a model using homemade “moon sand” or play dough. Create a gourd chicken. Not quite Cinco, but the kids would have fun painting these bold birds. And although the chicken dance was originally created in Switzerland, it is a popular song played at Mexican get-togethers. Make yarn pictures. Find pictures of animals or landscapes that reflect the lives of the Wixaritari, who are famous for their brightly colored and elaborate yarn paintings. These works of art reflect this community’s religious and cultural beliefs. The original process involved beeswax, but the kids can make their own pictures using glue and following these instructions.